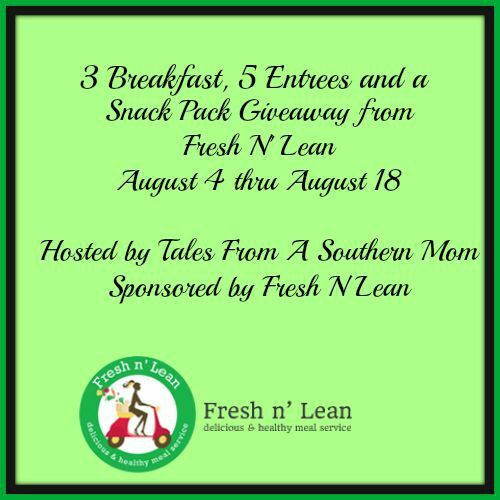 Fresh N Lean Snack Pack Giveaway! - I Don't Have Time For That! Fresh N Lean Snack Pack Giveaway! Win a great healthy Fresh N Lean Snack Pack: Muffins, Kale Chips, Vegan Cheese, Granola, 3 Breakfasts and 5 Entrees! This gives you the whole experience! If you are trying to eat healthy, Fresh N Lean could not be easier, and it is cheaper than take out, and often times cheaper than you could make it yourself. You can read a review of the Fresh N Lean meals here. At just 27.99 per day for all three meals delivered, I don’t think you could beat it. The food tastes good, there is a great variety and it is a multi-national menu so that you are not eating the same flavors over and over. If you would like to try them out you can save by using promo code TALES and you will receive 15% off meal plans (excluding ‘A la Carte’ menu).